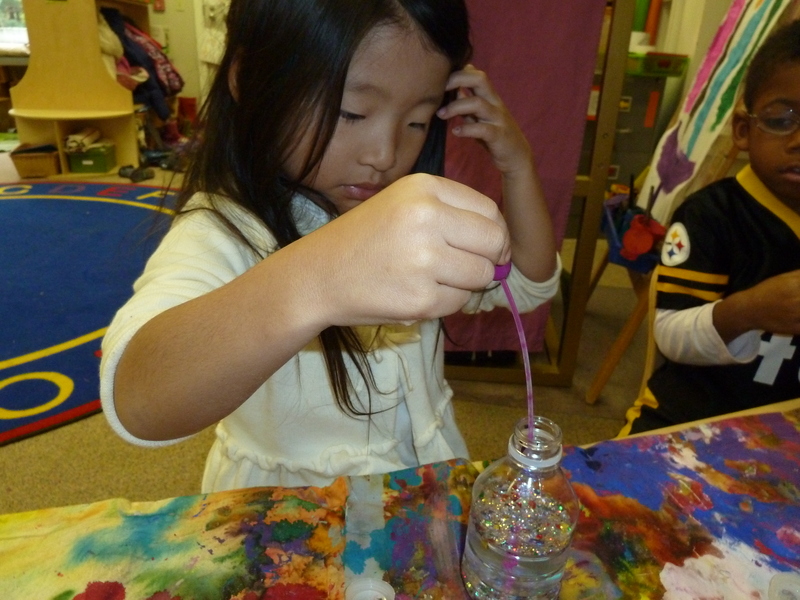 During play this past week, a few of the children re-purposed some of our science toys as “potions”. They were darting around the classroom turning everyone into all sorts of things. Mrs. Pless and I were so inspired that we just had to help our little scientists create their own potions! We set up a color mixing station and an ingredient station. 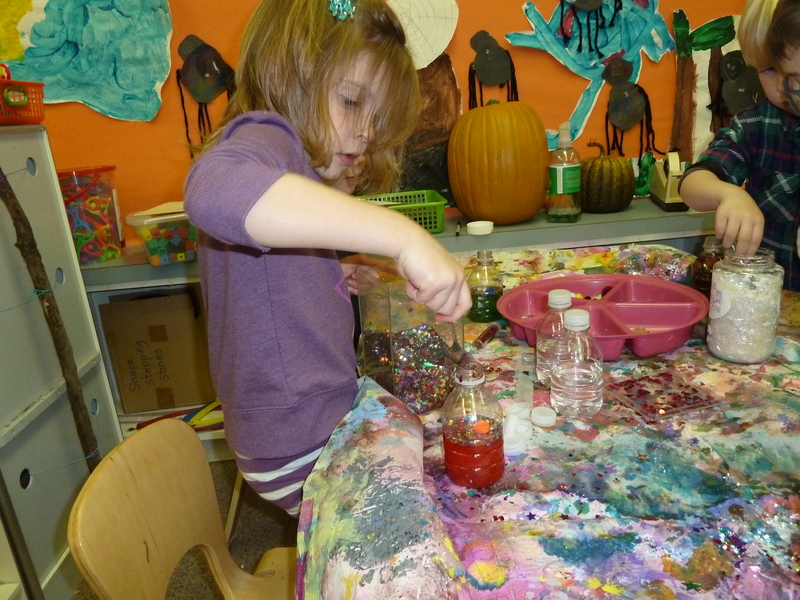 Each experimenter was given a bottle with a bit of water in it and the task of creating a really cool potion. In the end, we had a class set of extremely sparkly, occasional fluffy, magic potions. We discussed the “purpose” of each ingredient (did you know that foil stars can make you fly into space? ), and the meaning of the various colors. Some potions were designed for “good”, while others were created for use by “bad guys”. We even had a Star Wars bottle or two. A handy dandy glue gun (grown-up job) for the lid!